The car will then be put into orbit around Mars in its own little capsule while it belts out David Bowie's legendary song 'Space Oddity' presumably to aliens to intercept. The red Tesla Roadster will be sent to space on a mission to the red planet, Mars. In what can only be described as 'the bizarre news of the day', Elon Musk, CEO of Tesla has announced that the next SpaceX mission rocket will carry a very unique payload - his own first generation Tesla Roadster. The red Tesla Roadster will be sent to space on a mission to the red planet, Mars. The car will then be put into orbit around Mars in its own little capsule while it belts out David Bowie's legendary song 'Space Oddity' presumably to aliens to intercept. While this might be a hilarious notion, this isn't the first time Elon Musk has sent something totally random into space. In 2020 at the original SpaceX demo launch of the Dragon spacecraft, Elon Musk released a large cheese wheel in honour of Monty Python's legendary 'Cheese Shop' sketch. The car will be on board the 'Falcon Heavy', which is currently the largest commercial rocket in existence and possibly only rivalled by the massive moon mission Apollo rockets that flew in the 1960s and 70s. The launch of the Falcom Heavy will be from the Apollo 11 pad at the Kenedy Space Centre in Cape Canaveral in Florida. The launch is expected to take place sometime in January 2018. 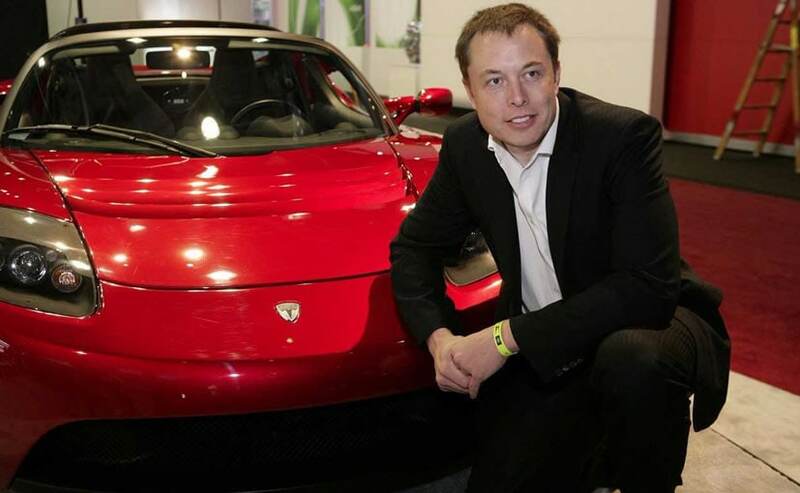 Also Read: New Tesla Roadster Will Do 0-100 kmph in 1.9 Seconds! Incidentally, the news comes a few weeks after Elon surprised the world with the second generation Tesla Roadster or 'Tesla Roadster 2', which boasts possibly the greatest specs on any production car ever! The new Tesla Roadster 2 will make its public debut as a 2020 model year car and will go from 0-100 kmph in just 1.9 seconds. The Roadster 2 will also have a top speed of over 400 kmph and a range of over 1000 kms! The Roadster 2 will also cover a quarter mile in just 8.8 seconds which will make it the fastest car ever unless something quicker comes along before its official launch.